Love it when companies push the boundaries with materials to create functional pieces. Everyone is familiar with Chambray, and has at least one chambray shirt in their closet - but do you have a Chambray hoody? Probably not, but in that case, its lucky day as Jiberish is looking to help you with that. 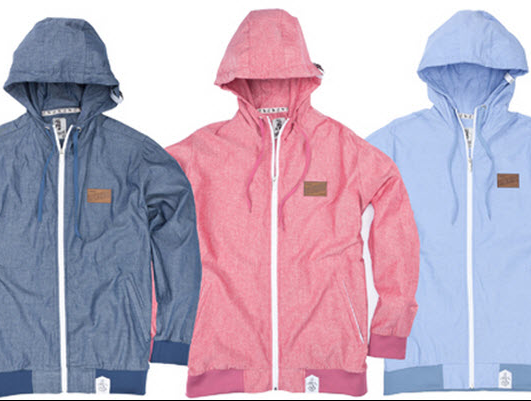 Coming in 3 colors, these lightweight hoody's are lightweight and perfect for the summer/spring seasons (or perfect for year round if you are blessed enough to live in Southern California - sorry, #noshots rest of the world).